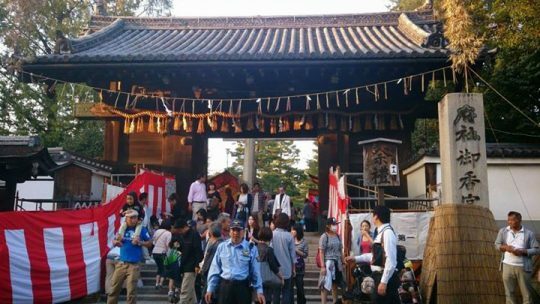 Our whole group went to check out a festival at the local Gokounomiya shrine. We saw the omikoshi (a portable shrine that’s lifted up and paraded down the streets) and the yatai stalls to complete the festive mood. The omikoshi bearers were kind enough to let us walk up in front with them and even helped us take our pics. We definitely enjoyed ourselves!